With a recent update, the FlightList PRO Floating Fleets section now shows 11 charter operators with 205 jets dedicated to point-to-point pricing. Aircraft types run the gamut of business jets, from light jet to heavy and long range jets. With the update, below are the totals by category of charter jets available in the U.S. for point-to-point pricing. Charter pricing with floating fleets can be quite advantageous for one way needs or round trips over many days. Cancellation terms can vary and be stricter with the pricing advantage and the logistics of point-to-point charter flying. Most operators are non-cancelable inside 72 hours from scheduled departure while some are shorter or even immediately upon booking. With this typical business model, most floating fleets are owned by the operator or are under management agreements whereby separate ‘owner approval’ is not required. Ages of floating fleet aircraft, much like traditional charter fleets, vary from brand new production line aircraft to manufacture dates in the 70’s or 80’s. All listed operators have at least one independent auditor safety rating, and more than half have 3 of the top ratings; ARGUS Platinum, Wyvern Wingman and ISBAO Registered. 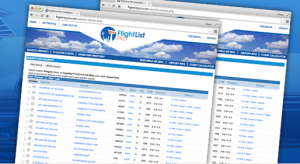 FlightList PRO is the largest air charter resource in the world. 100% of the market; complete and easy access to all U.S., European and international aircraft. Compare the numbers; 8,289 charter aircraft in the US, 3,008 in Europe and 16,631 worldwide. Also the lowest cost platform; worldwide full access starts at just $90 for 3 users and $30 each additional ($45/$15 those outside the US) with no contracts, cancel anytime. FlightList PRO is an everyday favorite of leading travel professionals, corporate travel departments and large charter brokerages. This entry was posted in FlightList Pro News and tagged Air Charter Directory Listings, Air Charter News on April 30, 2015 by FlightList PRO.